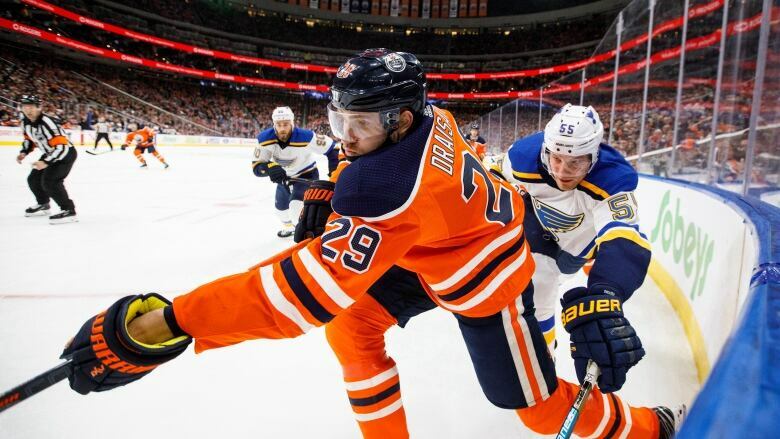 Edmonton Oilers forward Leon Draisaitl was among the last additions for the upcoming NHL all-star game, while Toronto Maple Leafs defenceman Morgan Rielly was one of a few high-profile players to be left out. In what could be seen as an upset given the size of Toronto's fan base, Skinner beat out players including Rielly get the last spot on the Atlantic team. "I appreciate all the votes and all the people at home, and especially my teammates campaigning," Rielly said Friday, before adding with a grin: "I'm happy that's over. We don't have to watch the video's anymore, but I appreciate it nonetheless." Of course, more than half the voters were surprised to see Rielly get frozen out of the game in the Hockey Night in Canada Twitter poll.